Giorgios (Georg) Katsouris (viola, Greece/ Germany) was born in 1976 in Munich. He received first violin lessons and did not start playing the viola until he was 16 years old when he entered the Musikhochschule Munich. His teachers include artists of renowned ensembles, Hariolf Schlichtig (Cherubini Quartet) and Thomas Kakuska (Alban Berg Quartet). 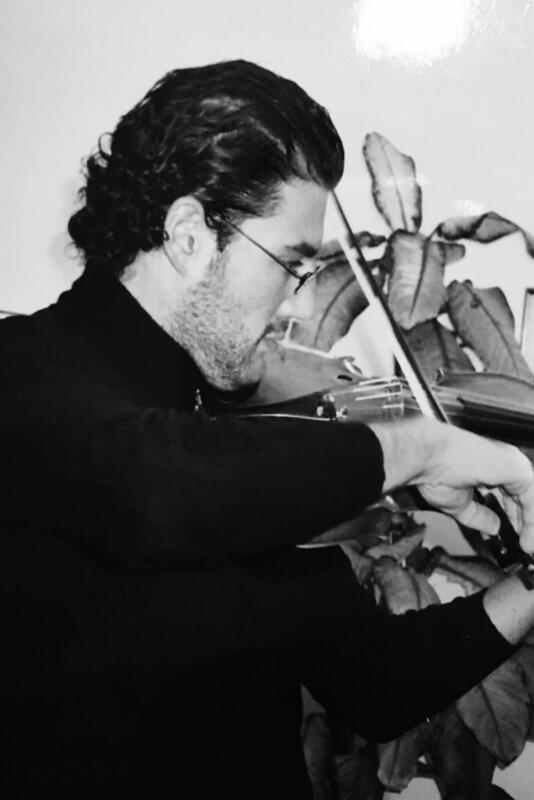 Giorgios has won numerous national and international solo and chamber music competitions, such as „Special Prize“ and „Richard Schauer Music Publisher’s Prize“ of International Lionel Tertis Viola Competition, 2nd Prize in Viola Competition of German Viola Society, 1st Prize of 10th International Chamber Music Competition in Thessaloniki, Greece. In addition to solo and chamber music playing, Giorgios works regularly with young students for competition and audition preparation and has been a coach for the viola section of the Hessen Youth Orchestra, as well as jury member of the Musikhochschule Competition Frankfurt. Giorgios has played in the Rundfunkorchester of Bavarian Radio Symphony Orchestra , as well as in the Munich Philharmonic, before becoming a member of the Frankfurt Radio Symphony.